what's up at the white house: an addition to the post below. oh, the cuteness of mischief. an addition to the post below. oh, the cuteness of mischief. 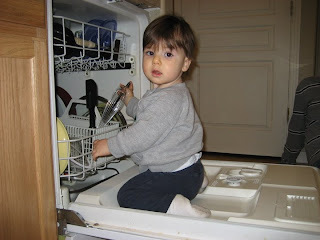 i am not sure why that is SO fasinating..but both of my kids LOVE the dishwasher...if only i could bottle it up and make them love it in 10 years! All of my kids LOVE the dishwasher too.